19 | January | 2017 | Syed Jahanzaib Personal Blog to Share Knowledge ! This is a reference post for myself, just to recall it later when I need it. There are tons of tools/apps that can automate such tasks, But being lazy/blockhead or fond of fetching result using out of the box approach, I usually try to select method that works for me and which seems easy to me plus with some learning. You may follow the internet to get more elegant / less complicated solution. Read it just to add ideas on how dumb-heads like me doing there work in other dimension approach , lean so that you may enhance it or at least not follow it for many reasons ;). This was a drafted version, later I modified this task for more presentable formatting. Windows batch file is far behind in advance coding as compare to bash, but we understand the limitation due to Microsoft platform. 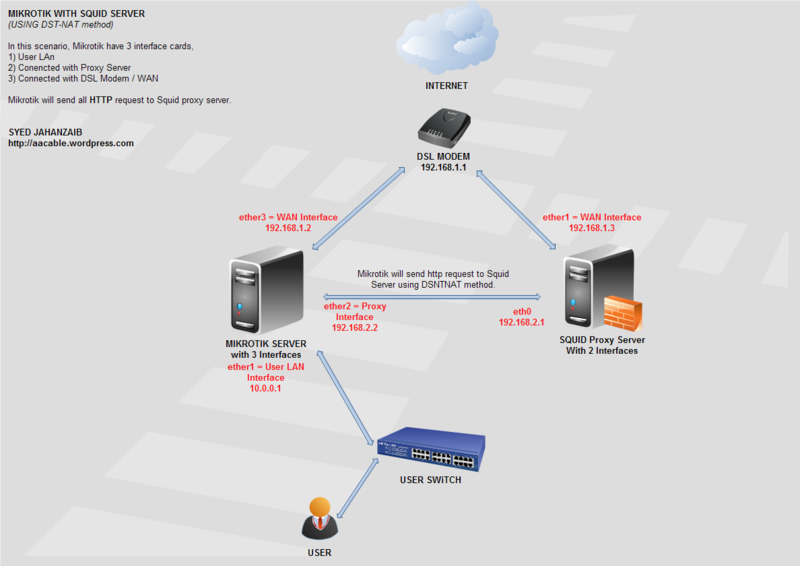 We have a domain environment in our office & we want to log all users login/logoff/session continued/rdp login/dameware remote access into one centralized folder with username/computername LOG files. 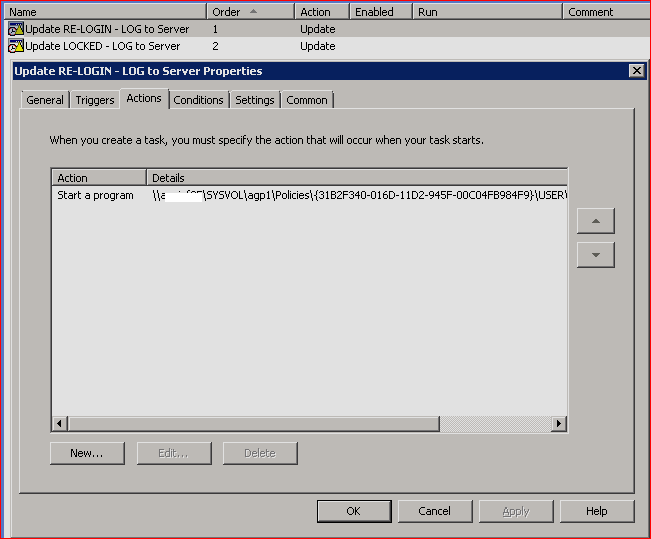 Following information should be recorded in simple log file at remote server. 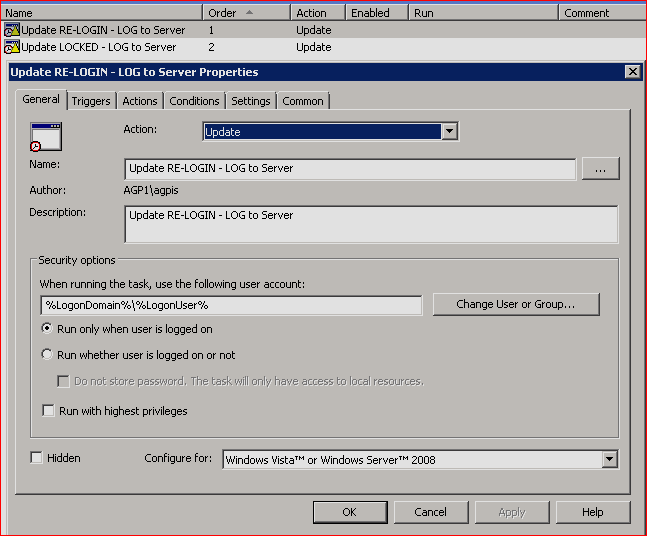 there must be 2 log file for each user, one for the USER ID , and second for the COMPUTER NAME, so that we can view which users logged in to the PC, or which ID is used to logged in to the PC. i am unable to explain right now, but later. 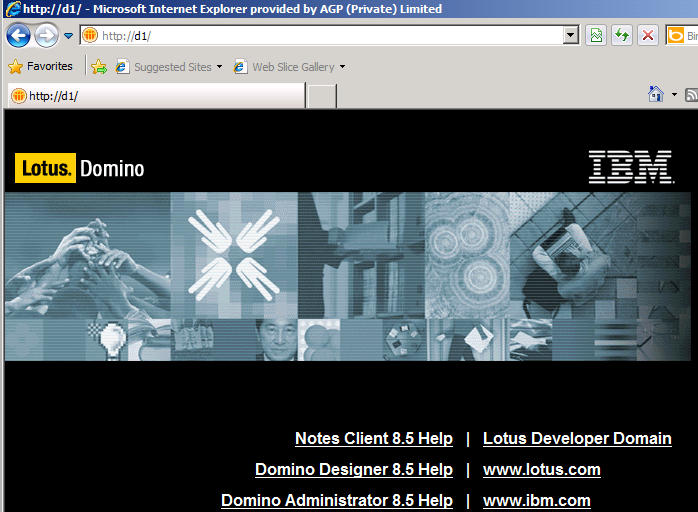 Since we are using Active Directory, We can use Login/Logoff script using DOMAIN Group Policy. 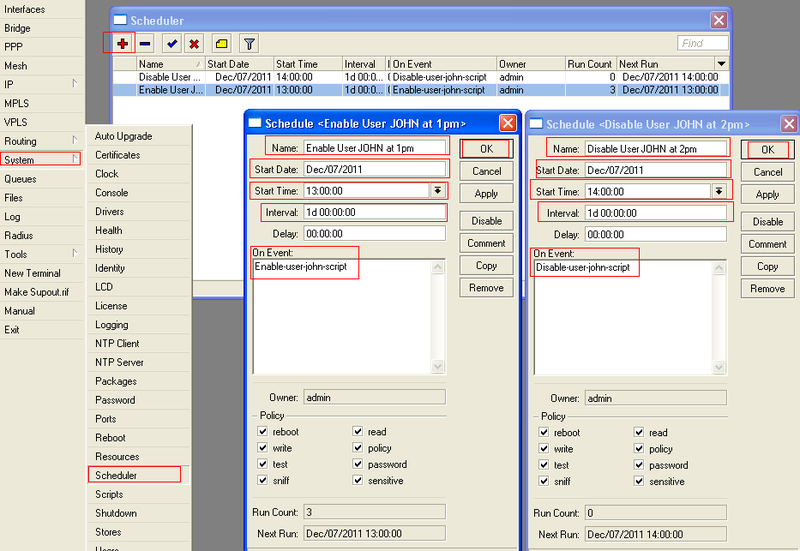 What we will do is to create a new TASK scheduler entry via GPO to trigger task on specific actions like login/logoff/lock/unlock etc. 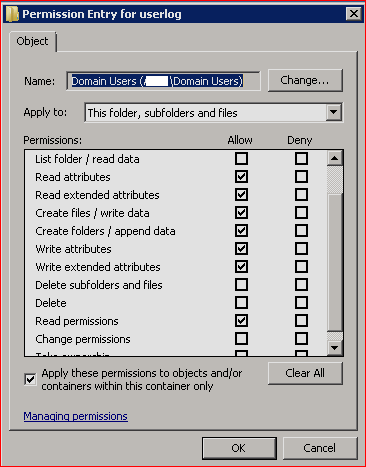 Create another folder name DC1\userlogs which users can only write in it, but they should not able to browse in it. 'msgbox "Welcome to my domain. " & strUser & " Your Login Server is " & LOGONSERVER & " ! " msgbox "" & strUser & " - Welcome to my domain " & vbCrLf & "Your Login Server is " & LOGONSERVER & " ! " 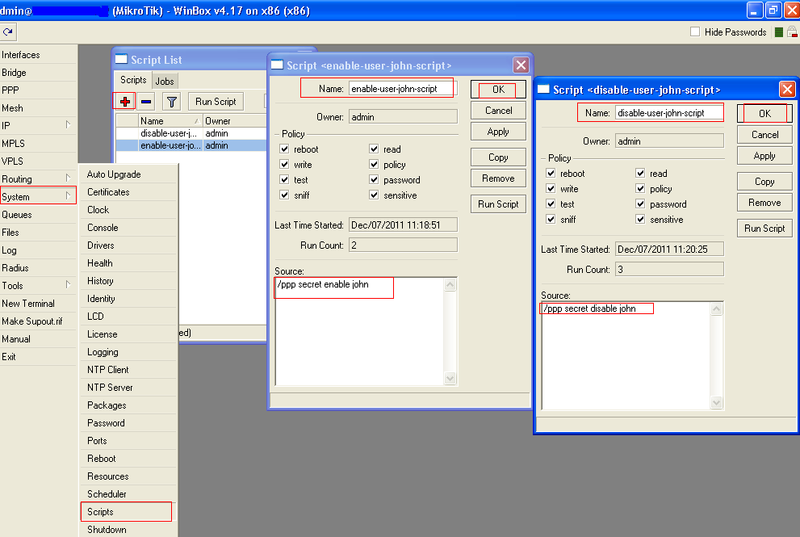 ' msgbox "Welcome to the " & strDomain & ", " & strUser & "!" 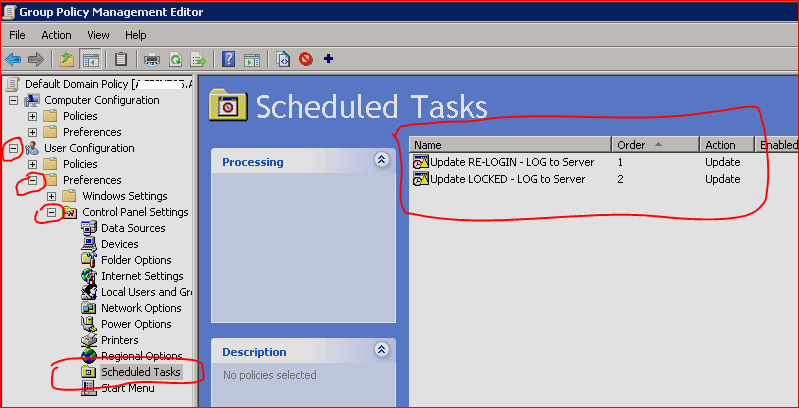 , " & "LOGONSERVER"
Now you can open the log file at log server, or local pc as well. 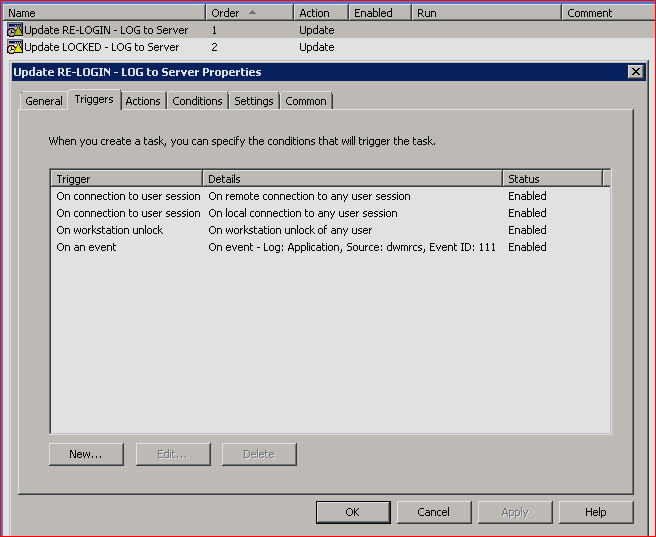 At remote log server (I used my domain controller server) you can set permission of userlog folder so that user can only write in it, but not explore it.